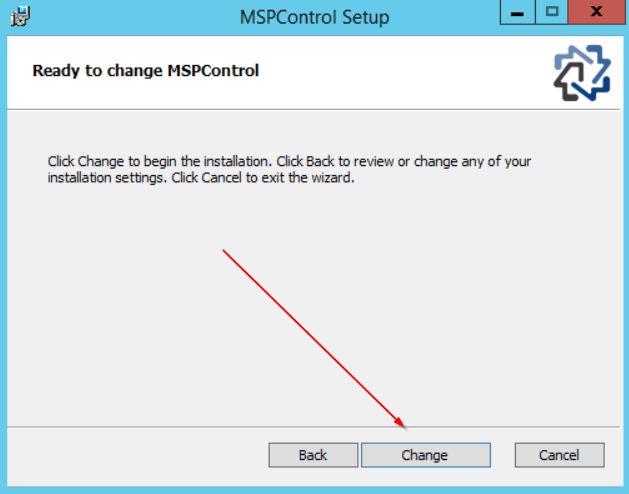 The request failed with HTTP status 400: Bad Request after MSPControl installation on login page, page with server settings or when trying to add service to server in MSPC. Problem with Portal login page. 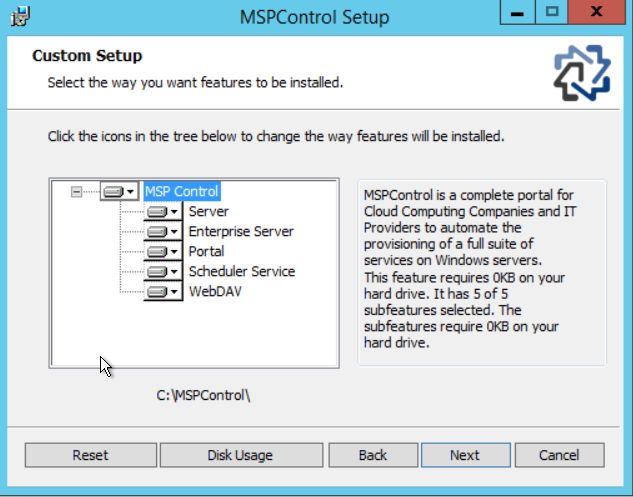 Using unreachable hostnames for MSPC Enterprise Server or Portal configuration. 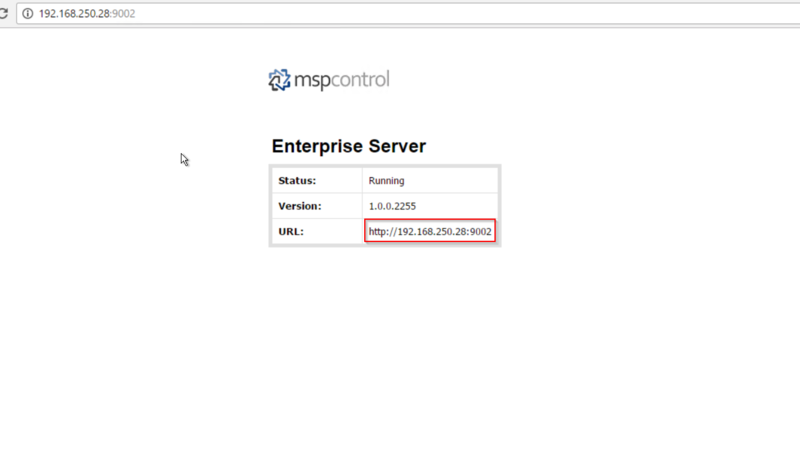 Firewall doesn't allow connections to go through (in case of situation with Portal and Enterprise Server installed on different servers). 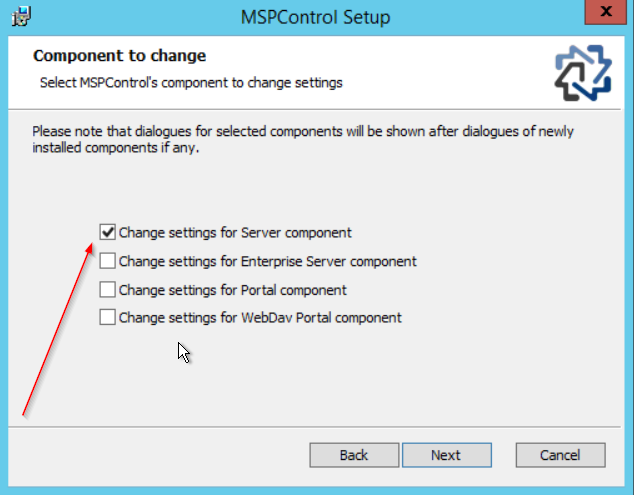 Missing or wrong link to Enteprise Server in MSPC Portal settings. 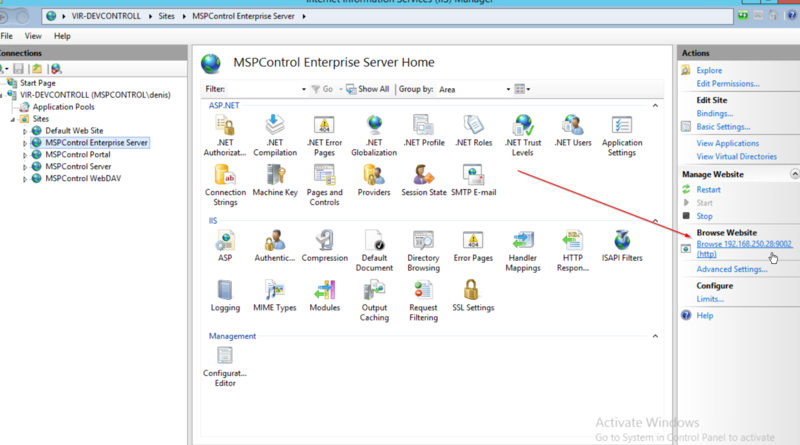 Checking first case: open IIS and ensure that you're not using hostname or using reachable hostname for MSPC Enteprise Server and/or Portal. 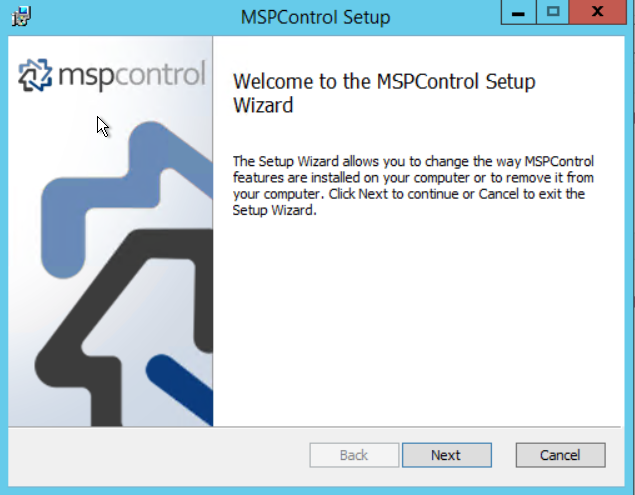 Checking second case: ensure that Firewall on servers with MSPC Portal and Enteprise Server allow remote connections to each other on their ports (9002 and 9003 by default). 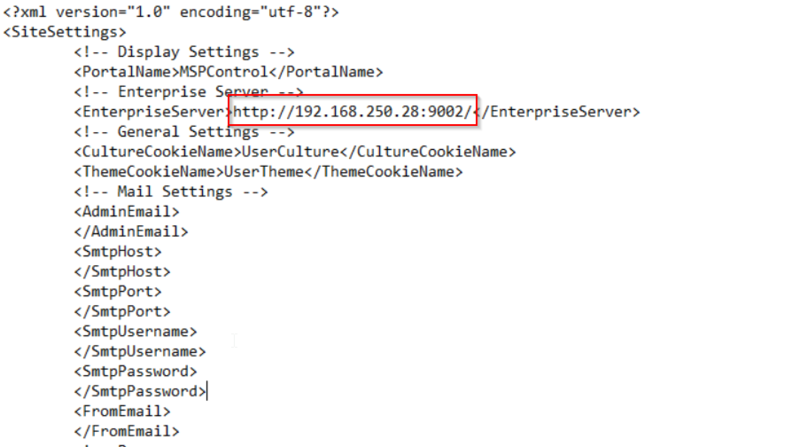 Write down Enteprise Server URL, open Portal's SiteSettings.config (located in C:\MSPControl\Portal\App_Data by default) and fix <EnterpriseServer> value to correct one. Problem with server settings page and service add page. 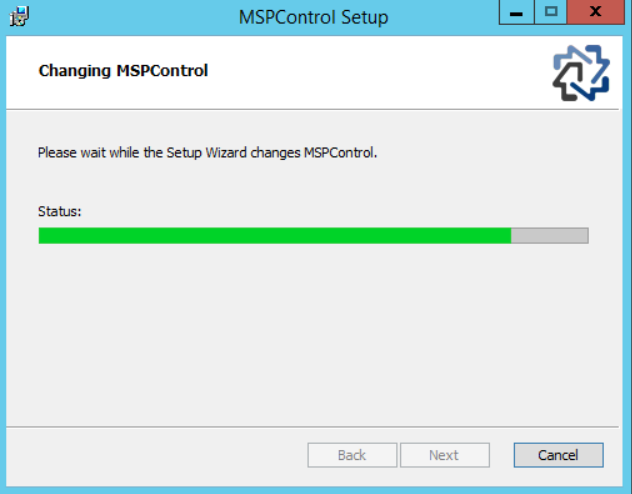 Using unreachable hostname for MSPC Server component. Firewall doesn't allow connections to go through. 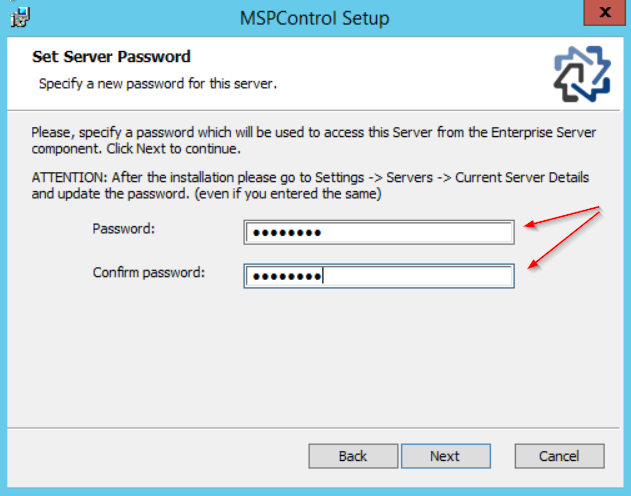 Mismatch between real MSPC Server password and password which has been used to add this Server to Portal. 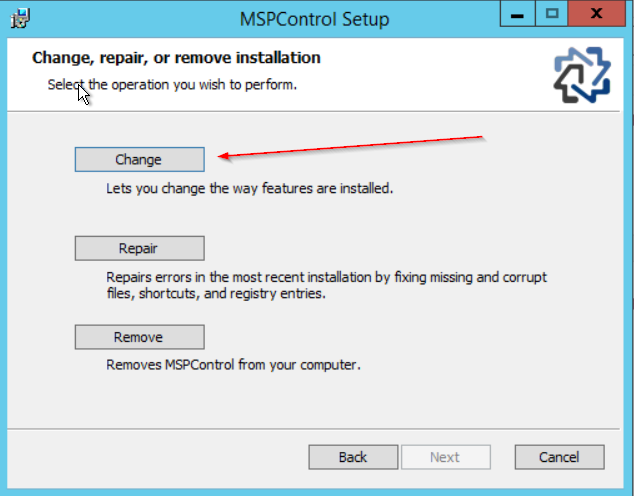 Checking first case: open IIS and ensure that you're not using hostname or using reachable hostname for MSPC Server. 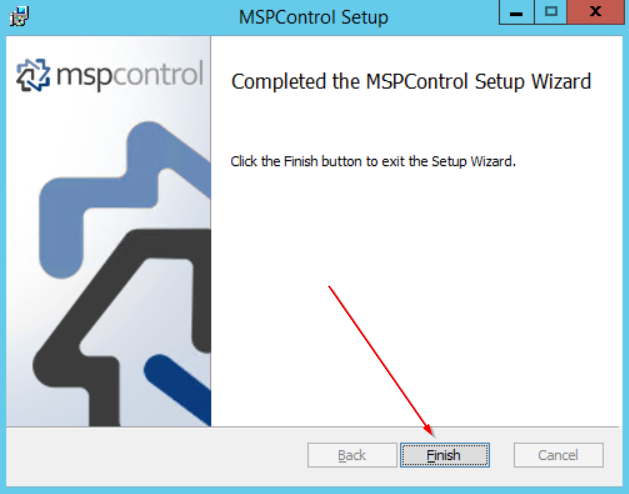 Checking second case: ensure that Firewall on server with MSPC Server allow remote connections to MSPC Server's application port (9003 by default). 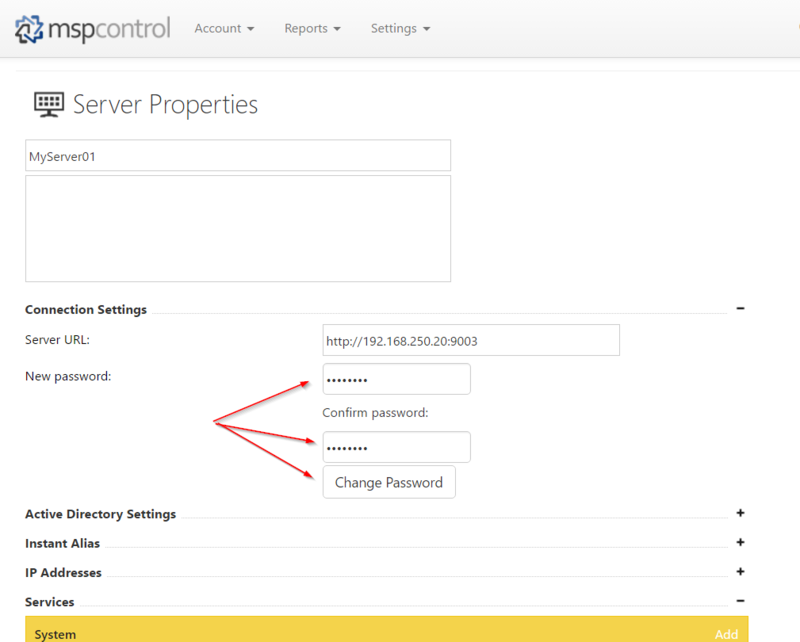 Go to Portal > Settings > Servers, open related server, expand Connection Settings, type new password and click Change Password.